Koi is a word of Japanese origin meaning “a carp”. In Japan, the koi fish is associated with knowledge, luck and strength. 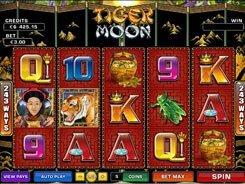 The imagery of this 5-reel 25-payline slot revolves around these brightly ornamented Asian carps, and the reels are packed with aquatic-themed symbols such as dragonflies, toads, turtles, lilies, etc. A bet size varies from $0.01 to $25 per spin. 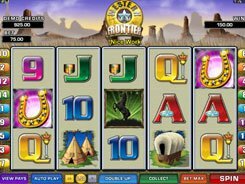 The slot has a wild, a scatter and two bonus features. The Lucky Koi logo serves as a substitute for all symbols except for scatters. 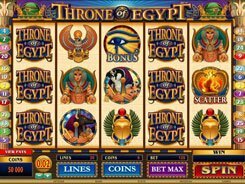 Three or more scatters pay out x125 to x2500 a total bet and activate the Bonus Choice feature. 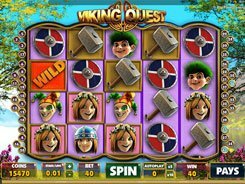 In this feature you are to select between triggering 10–30 free spins at up to a x5 multiplier, or starting the Koi Bonus game. 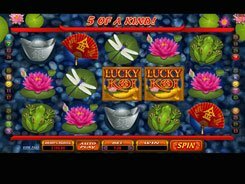 If you unlock the Koi Bonus game, you are then taken to a second screen where you have three to six tries to get a decent cash prize by hooking fish. 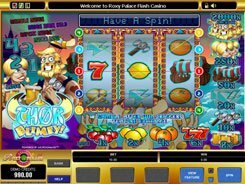 To sum up, Lucky Koi is a well-balanced slot with vivid graphics and a straightforward gameplay featuring very flexible betting options.